13 June 2018 – On Wednesday 23rd of May, ISA Netherlands Section organized the 1st College Tour session for 2018. The College Tour is running successfully since 2016. During the course of the tour several events will be organized at various educational institutions in The Netherlands. 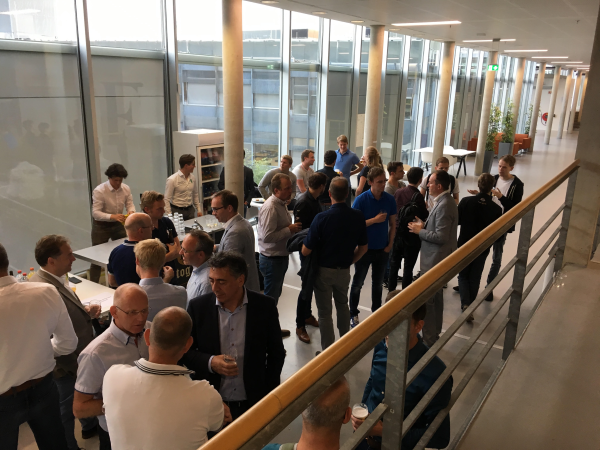 This College Tour session was hosted at Hogeschool Utrecht for the members of ISA Netherlands Section and other interested professionals. The participants were welcomed with sandwiches, refreshments, coffee and tea. Actemium gave a presentation about their Fieldbit solution. The first step was using Virtual Reality to see an Industrial Plant/Site. By using this technology, the user is cut off completely of the world. The next step after Virtual Reality is Augmented Reality. By means of this technology the user can add digital technology to assist in their work. For example, seeing to a pair of Google glasses which has a small screen build in. A maintenance engineer can do his real work but has all the digital data or remote assistance through the glasses. Actemium had built several Augmented Reality solution packages based on Fieldbit technology that meet customer demands. By using this technology, engineers with a lesser -or not the right- skill set can do the job with remote assistance in real time. In today’s market, with a huge demand for technical people, this technology can help to bridge that knowledge gap, save time and reduce costs. 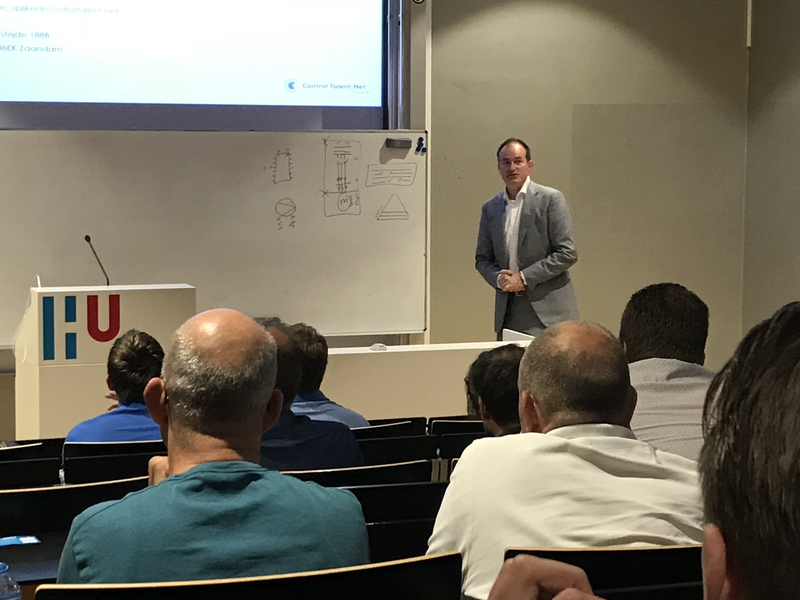 Yellax gave a presentation about the possibilities of automating the Project Design Process for industrial automation projects and the advantages as a result. They explained that customers in general state that they are unable to standardize or automate major parts of their engineering processes. But in reality, in most cases they are able to do so. Most clients in fact even use prior projects as a basis for new projects. But why should we standardize? This is to reduce cost in design failures, shorten the design process and protect & preserve the knowledge. The presenter explained the correct steps in which to start and finish a project. Efficiency in engineering is de key of its success. ControlTalent.Net addressed the audience with a presentation about drones with a highlight on their Drone Connection via PCS7. The presenter took the audience on a historic tour of drones, present drone capabilities and a glimpse into the future. As drone enthusiasts, the company developed the current drone solution inhouse which can be completely controlled via a PCS7 system. In the future they expect that their drone can fly autonomous through a plant for operator quick analysis or maintenance support. For flying a drone, you need a permit and training. So using a drone for a quick scan can be difficult. The European legislation is being altered for this very purpose. For Industrial purposes there are still some issues, but they will be solved in the near future. Even an Atex classified drone is available on the market these days. The HU University of Applied Sciences Utrecht is an ambitious university in dynamic surroundings. As a university of applied sciences, they provide education and conduct research. They train – future – professionals who are highly in demand in the labor market and are inextricably tied to the Utrecht region. The link between education, research, and the professional world enhances their regional impact. In 2018/2019 the ISA Netherlands Section College Tour will visit several other educational institutions. The College Tour plans to visit The HAN University of Applied Sciences and the Avans University of Applied Sciences.